Mama Elephant INLINE LETTERS Creative Cuts Steel Dies at Simon Says STAMP! 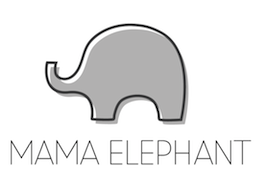 Success, Mama Elephant INLINE LETTERS Creative Cuts Steel Dies has been shared! Mama Elephant's premium steel dies are fabulous used alone or they may beautifully coordinate with Mama Elephant clear photopolymer stamps. They are compatible with most consumer die-cutting machines. Each package contains thirty six dies which each measure approx .75 x .50 inches.